Last Sept. 15 – 18, Designery joins Worldbex as they re opened their Philbex Cebu exhibit! 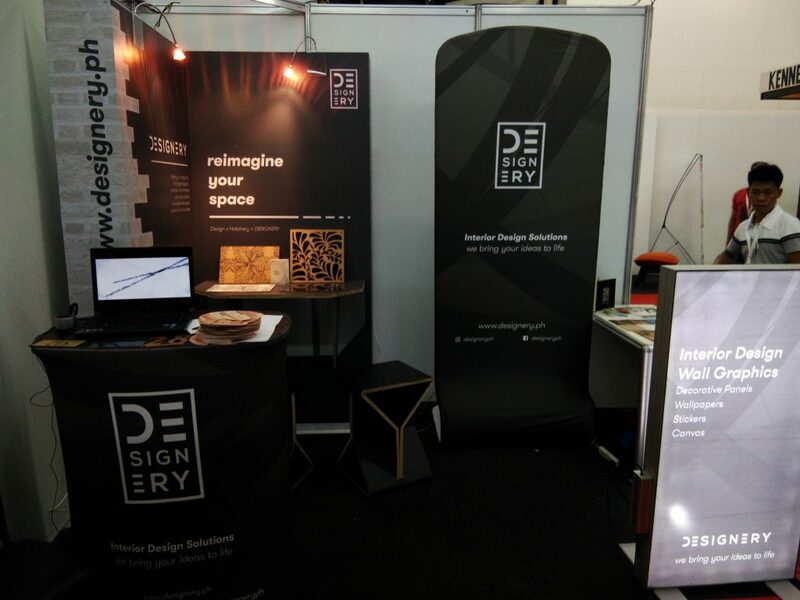 Highlighting 2 types of portable booth systems, Designery pushed for a more sleek design to present to new clients in Cebu. Desigery featured its capabilities as an interior design firm at the same time, being able to produce whichever they have designed for their client. Most of the clients of the event turned their heads upon seeing the printing and cutting capabilities of the company.